I had seen recipes for versions of these all over the place but most often they were used with making honey and although honey is great, it is a flavor that sometimes just makes me wanna vomit. I have no idea why. It just sits weird with me a lot of the time. My go-to sweetner is coconut nectar and maple syrup. Typically I use a combo of these since the nectar is not very sweet but the consistency is way closer to honey. I found out of about this when I bought a package of these snacks, cocoroons. They were so good! But so expensive! 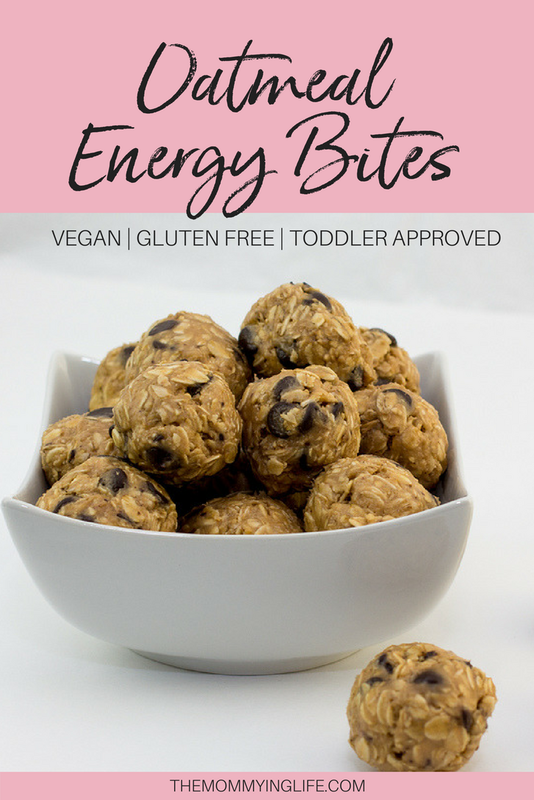 I am going to try to recreate those soon (they are similar to these energy bites!). But anyways, the coconut nectar has been an awesome replacement for a syrup sweetener! You can check it out here! Now for these bites, I loaded them up with chia seeds and flax meal (not seeds). They are a great grab and go snack for an extra pick me up during the day or when you want something sweet. They are also always toddler approved. Because what kid doesn’t like chocolate and peanut butter! They think they are getting desert but I am happy I am sneaking in some extra omegas to their diet! Before I get to the recipe, I want to go over the chocolate for this. You can use basically anything, but go for mini chips, I like to use the Enjoylife mini chips, these are an allergy free chocolate company and something I always keep in the house! You can always use cacao nibs (possibly not as ‘kid friendly’), I also found these Dark Chocolate Cacao Nibs in Trader Joes (see photo!) which I have used a couple of times, so they aren’t as bitter as the raw cacao nibs but not as sweet as the enjoy life chips! I love keeping these around to add to Greek Yogurt for an extra crunch! TIP: for young kids you can leave out the chocolate and it is still plenty sweet for them! **if you can't find coconut nectar, you can use maple syrup.